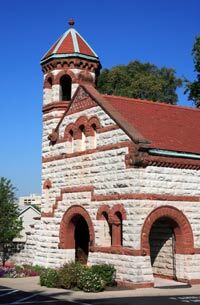 Founded in 1841, the Woodland Cemetery is one of the nation’s 5 oldest rural-garden cemeteries and the final resting place for many of Dayton's most celebrated inhabitants. Woodland Cemetery offers maps and a self-guided audio tour at the front office to help you appreciate the beauty of the 200 acre cemetery and to locate some of those famous folks. 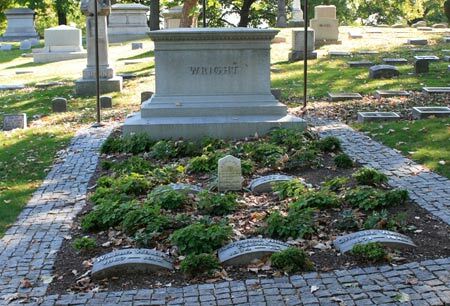 Most notable in the cemetery are the graves of the Wright brothers and nearby, their close friend, Paul Dunbar. 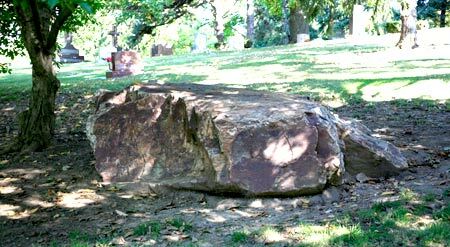 One of the most recent celebrity additions is the unusual Erma Bombeck grave, marked simply by a large rock that came from her home in Arizona. Thousands of visitors tour the grounds each year to visit the gravesites of Wilbur and Orville Wright, poet Paul Laurence Dunbar, Matilda and Levi Stanley, Queen and King of the Gypsies; Governor James Cox, writer Erma Bombeck, Jeraldyne Blunden, founder of the Dayton Contemporary Dance Company; inventor Charles F. Kettering and entrepreneurs John H. Patterson (NCR), George P. Huffman (Huffy Bicycles), George Mead (Mead Paper), Preserved Smith (Barney & Smith Mfg. Co.). The Woodland Arboretum features over 3,000 trees and 165 specimens of native Midwestern woody plants grace the Arboretum’s rolling hills. Many of the trees are more than a century old and 9 have been designated "Ohio Champions" by the Ohio Forestry Association. The cemetery office is open Monday - Friday 8am - 3 pm, and Saturday 8 am - Noon. Sponsored through a grant from Four Seasons Garden Club, an audio-cassette tour for walking or driving. Borrow the tape, headset, and cassette player from the office between 8:00 a.m. and 3:00 p.m. and enjoy a tour of Woodland Cemetery & Arboretum at your own pace. Please contact Debra Mescher at 937.228.3221 for a tour where her vehicle is followed by yours over Woodland's grounds. This tour is suitable for the less ambulatory and for inclement weather. 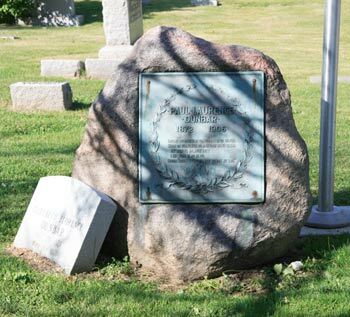 A scavenger hunt in which the participants can search for the graves of famous Daytonians, various species of trees, animallife, geological formations, architectural styles, or other aspects of Woodland. A fun, educational activity for adults and children's groups alike. The final resting place of many infants. Here the smaller lot offerings allow a more intimate setting for families. Another area for infants is located near The Pump House. Many children who died during the influenza epidemic in 1916 are buried here. Here lie soldiers who fought the Civil War from 1861 to 1865. Anyone who died and had no money or no one to pay for their burial, was buried here in a space paid for by the city. It has not been used as a “potter’s field” since 1950.